Yo ho ho and and a pot of redevelopment gold. For 15 years San Francisco has tried to transform Treasure Island from a sandy former Naval base into a gold and jobs-generating new urban community with 40-story skyscrapers interspersed by parks and marinas. The idea came from then-Mayor Willie Brown as far back as 1995. On June 15, 2011, San Francisco Mayor Ed Lee finally signed the formal approval to allow the redevelopment of Treasure Island to begin. While the city has been remarkably patient in its mission to secure approval for the $1.5 billion project, this project represents a golden opportunity to build a new city center for 19,000 new tax-paying residents. There will be huge new skyscrapers secured into the volatile landfill with earthquake-proof foundations, a number of community parks, a seawall to prevent tsunamis and tons of sand imported to stabilize the land-filled island. Before the Loma Prieta earthquake in 1989, Treasure Island stood 18 feet above sea level. After the quake, it was at 6 feet. The new sand will be compacted into the existing soil to provide a solid base for the coming towers. 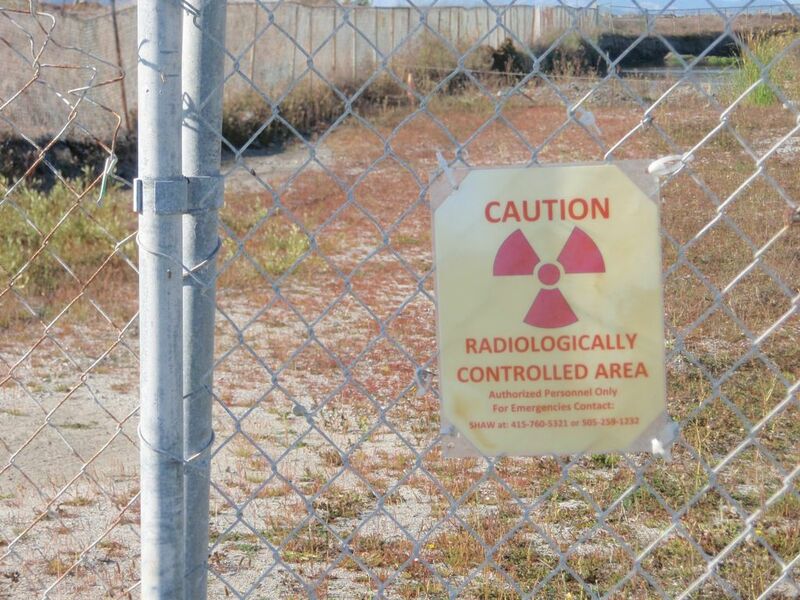 At this point, Peskin and Treasure Island development opponents appear to be outgunned. TIDA’s attorney-of-record on this is Tina Thomas, of the Sacramento law firm Ramey-Thomas. When she served in the first Jerry Brown gubernatorial administration, Thomas wrote the California Environmental Quality Act (CEQA) in 1974. Now she tends to serve developer interests, such as Sacramento’s Angelo Tsakopolous and Ron Burkle, the billionaire who is involved in the Treasure Island redevelopment plan. The TIDA project involves Florida-based Lennar Properties, Wilson Meany Sullivan and Kenwood Investments (the Burkle-Anderson group) who say they hope to break ground early next year. The city of San Francisco is also a partner on the deal, since it’s chipping in $700 million in bonds; while Kenwood et al. are in for $500 million. The developers are projecting $370 million in profit at build out, and the city gets a taste of it. Over the next few decades, Lennar and friends will transform the island into a state-of-the-art neighborhood with a mix of affordable and market-rate energy efficient homes. Massive weight will compact the soil, keeping the island stable during earthquakes. A 30-foot seawall will guard against sea-level rise and possible tsunamis. Plans call for the ramps to and from the Bay Bridge to be redesigned and dedicated bus lines to run from the island to downtown San Francisco. There are numerous reasons to welcome the new development at Treasure Island from a policy standpoint. It will create high-paying construction and engineering jobs for the length of the 20-30 year build out. It will also increase tax revenue and provide new housing for maxed-out San Francisco. There are other reasons to abhor Treasure Island from a political process standpoint, for the redevelopment of this naval base is easily one of the sleaziest deals ever put forward in a city where political sleaze has reigned supreme since the octopus of Southern Pacific Railroad extended its tentacles over the city at the end of the 19th century. Grand jury investigations into Treasure Island have occurred. The governing agency for the project, TIDA, is a bit of a mystery as to what kind of agency or corporation or city entity it is exactly, and recent rulings have relaxed the ethical questions that have characterized the process since it started. In 1998, reporter Chuck Finnie of The San Francisco Examiner wrote a story, “Mayor’s Pals find Treasure on Island,” in which he laid out the plans that Mayor Willie Brown then had for Treasure Island. “Political patrons of Mayor Brown who are favored for a Treasure Island redevelopment deal would pay The City at least $1 million less than the other two bidders, a Port of San Francisco financial report says…. The project is one of several in which the mayor’s staff and city commissioners have been asked to make business decisions involving people close to Brown…. Anderson worked as a volunteer raising money for Brown’s $2 million mayoral campaign. “Burkle, who is backing Anderson’s bid financially, is a Los Angeles investor and former law client of the mayor’s during Brown’s days as speaker of the Assembly. 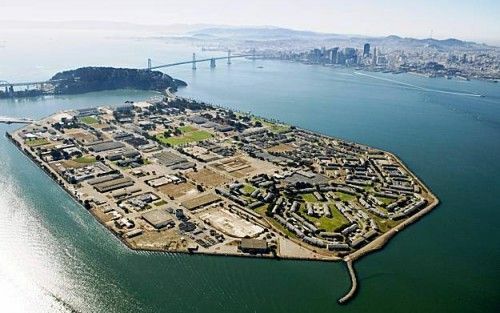 One of Lennar’s partners in the Treasure Island deal, Kenwood Investments, is the outgrowth of the original company hand-picked for Treasure Island by Willie Brown in 1998. Kenwood is headed by Burkle and Anderson. Willie Brown’s Treasure Island plan was first put forward in a document, “The Treasure Island Reuse Plan.” This plan would have transformed the former U. S. Naval base into a tourist-oriented theme park. The lead agency for the conversion would have been the San Francisco Redevelopment Agency. Free thinking is one way to describe it. Treasure Island has been a sweetheart deal ever since the process got underway in the late 1990s. After Brown failed to get the project moving, the next mayor, Mayor Gavin Newsom, took a bite at the Treasure Island apple during his term. Newsom was figuratively caught with his pants down at a fund-raiser for him hosted by Burkle’s partner Darius Anderson in Sacramento in 2004. Again, the plan didn’t fly. Present Mayor Ed Lee finally succeeded where the previous two had failed — despite a narrow, 4-3 approval by the San Francisco Planning Commission before the Board of Supervisors passed the plan unanimously by an 11-0 vote. The Treasure Island project envisions a new ecologically friendly, “smart growth”-oriented, “sustainable” mini-city of 19,000 residents. It would have set-aside proportions of 20 percent of the new housing units designated for “low-income families” and the homeless with shining new high-rise commercial and residential towers interspersed among “pedestrian-oriented” retail units. All of it will be served by new ramped-up ferry services from San Francisco and the East Bay to Treasure Island to insure the “sustainability” quotient. Most of the main players in the San Francisco Democratic Party Insider Club are also on board the Treasure Island Express. Besides Willie Brown, Gavin Newsom, Darius Anderson and Ron Burkle, the Treasure Island gold miners include Rep. Nancy Pelosi, D-San Francisco, and some of her family. Pelosi, then-Mayor Gavin Newsom and Navy Secretary Ray Mabus signed the transfer agreement on Tuesday, June 10, 2010. It included a section of neighboring Yerba Buena Island, where Native American Indian remains were found in 2003. That makes Yerba Buena Island a potential site for Indian gaming casinos. Pelosi has used her power to push the crony-infested project for years. She pushed hard for legislative language that would have forced the military to grant highly valued properties at no cost to the local communities. The likelihood of a successful legal challenge to TIDA isn’t good. There are powerful political and economic forces at work here, and the whole Democratic Party team out of San Francisco is backing the plan. Willie Brown’s dream of gold on Treasure Island seems to be coming true. A personal anecdote: An uncle of mine used to be a MSTS employee (now MSC) and when I was a kid I used to go fishing with him at various places around the bay, one of them being Treasure Island. When we went there we would typically go to Pier 21, which was near the NE corner of the island (it appears to be gone now) and on occasion I would go for little walks around the area. 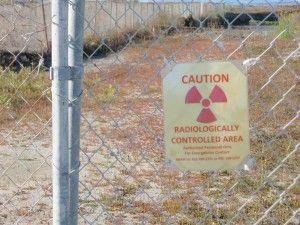 Not far from Pier 21 in a northerly direction (where the shoreline turns at an angle in the picture) there was a small ship that was sunk into a large concrete surface in the ground, surrounded at a distance by cyclone fencing that had radiation warning signs posted all around. The marking on the bow of the ship was “PCDC-1”, and I remember being creeped out by the whole thing when I first saw it. As a matter of fact, the outline of where this ship sat is still somewhat visible near the bottom left of the photo above; there is a lighter colored area of the ground near where the shoreline turns. I have not been back there, so I have no idea what it looks like now. Need to post about Environmental Impact Report,Tsunami,and Earthquake. Also, Not to make T.I as a “den of Corruption”. I visited 11/23/2011 to T.I. with future vision,but I still doubt about the project because it will be dangerous with the radiation of intoxication and natural disaster. was stationed on TI and came down with CLL in 2005 and AML in 2010 looking for anyone that has had similar experience. Is this story a dead horse or is there anything else pending?